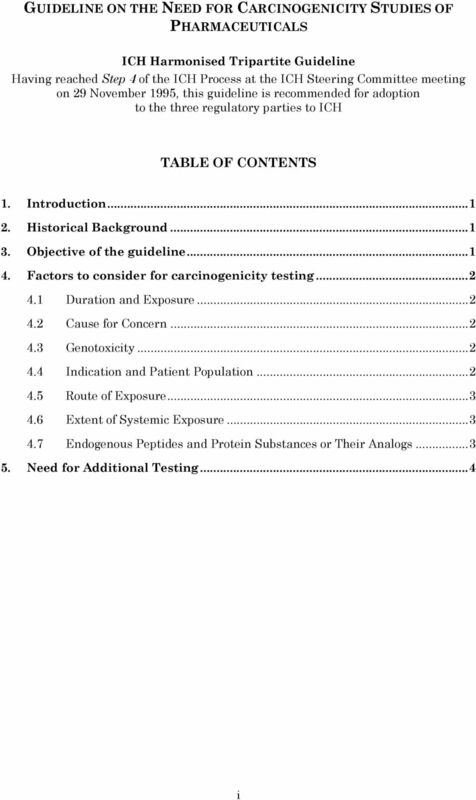 Download "INTERNATIONAL CONFERENCE ON HARMONISATION OF TECHNICAL REQUIREMENTS FOR REGISTRATION OF PHARMACEUTICALS FOR HUMAN USE S1A. 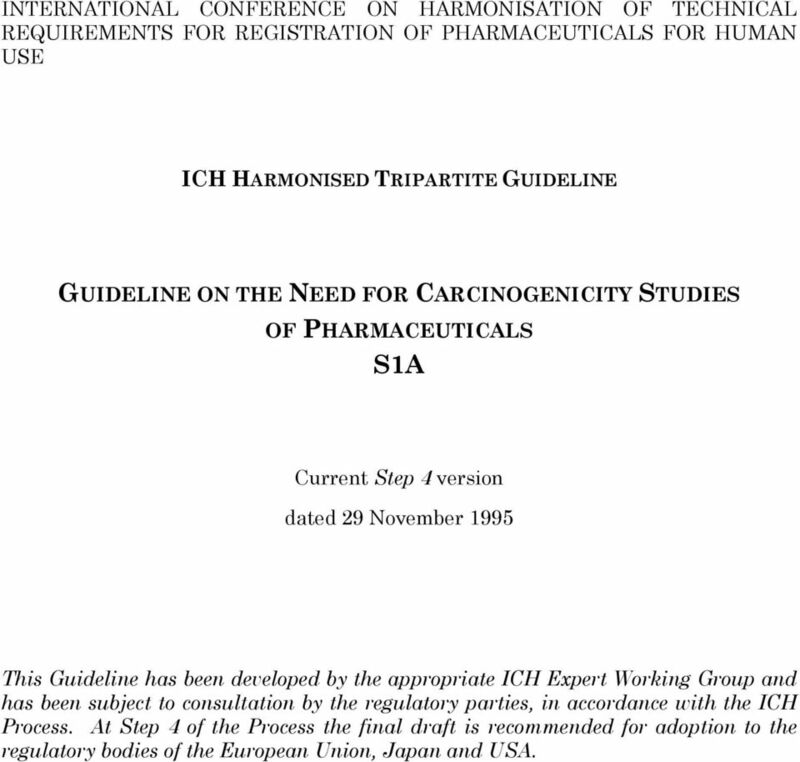 Current Step 4 version"
1 INTERNATIONAL CONFERENCE ON HARMONISATION OF TECHNICAL REQUIREMENTS FOR REGISTRATION OF PHARMACEUTICALS FOR HUMAN USE ICH HARMONISED TRIPARTITE GUIDELINE GUIDELINE ON THE NEED FOR CARCINOGENICITY STUDIES OF PHARMACEUTICALS S1A Current Step 4 version dated 29 November 1995 This Guideline has been developed by the appropriate ICH Expert Working Group and has been subject to consultation by the regulatory parties, in accordance with the ICH Process. At Step 4 of the Process the final draft is recommended for adoption to the regulatory bodies of the European Union, Japan and USA. 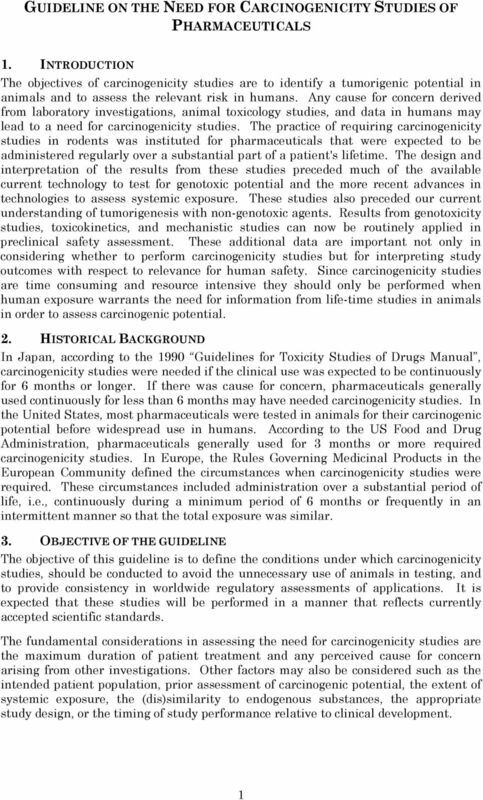 ICH Topic M 3 (R2) Non-Clinical Safety Studies for the Conduct of Human Clinical Trials and Marketing Authorization for Pharmaceuticals. 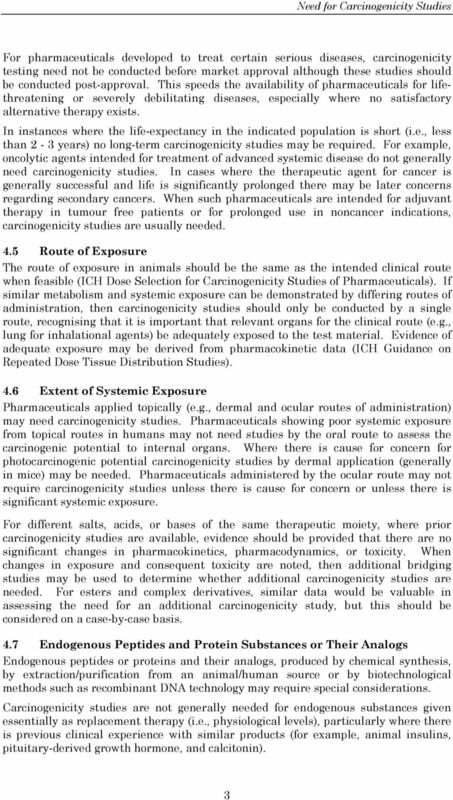 Pharmacology skills for drug discovery. 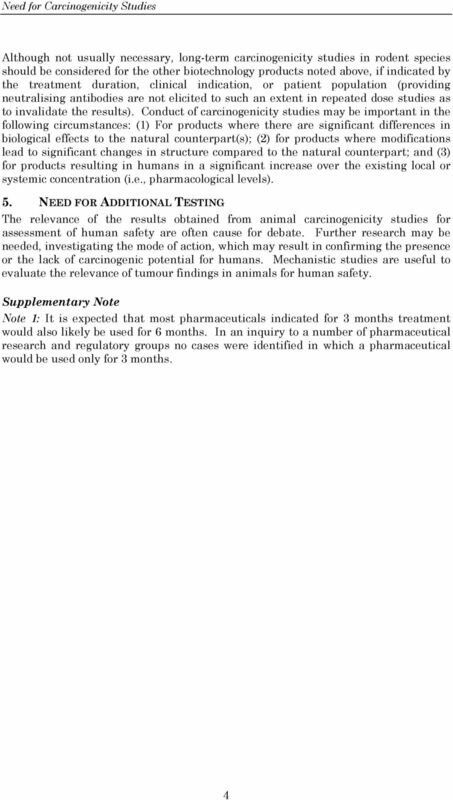 Why is pharmacology important? TGN 1412 Welche Änderungen haben sich für die Erstanwendung am Menschen aus Sicht des BfArM ergeben? 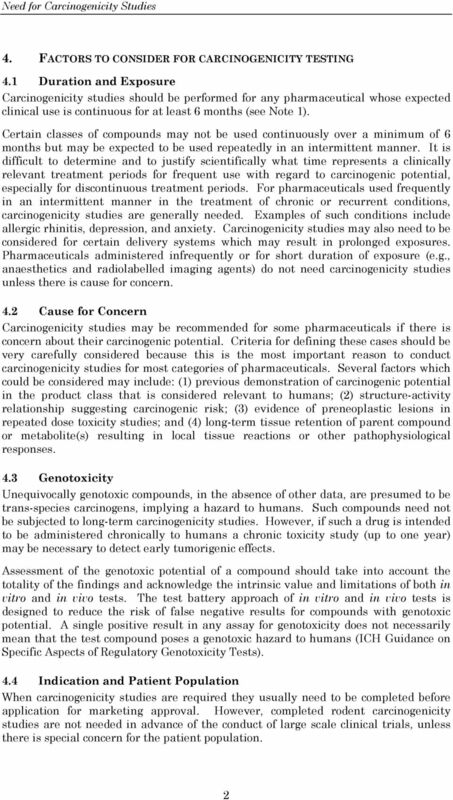 Discovery safety assessment of drug projects can be considered in two broad areas: target-related safety and chemical related safety. exactly. The need for efficiency in developing effective new therapeutics has never been greater.